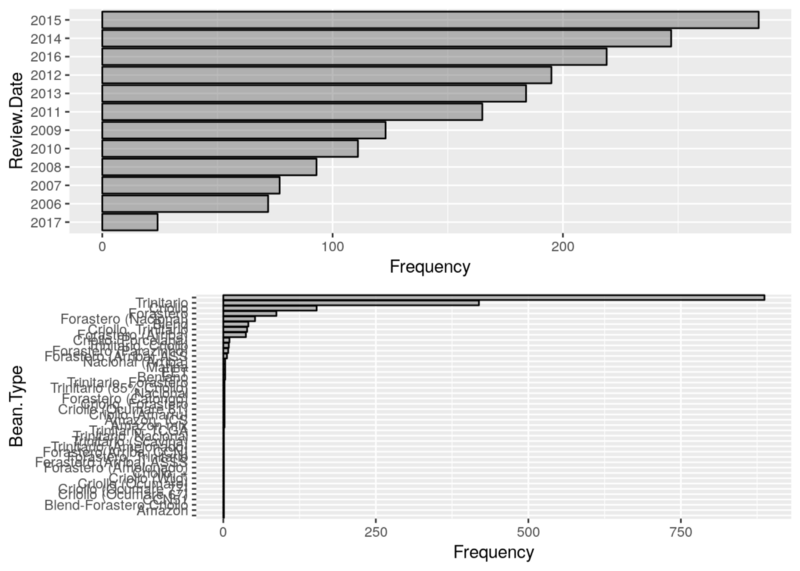 Fast Exploratory Data Analysis in R with DataExplorer Package. 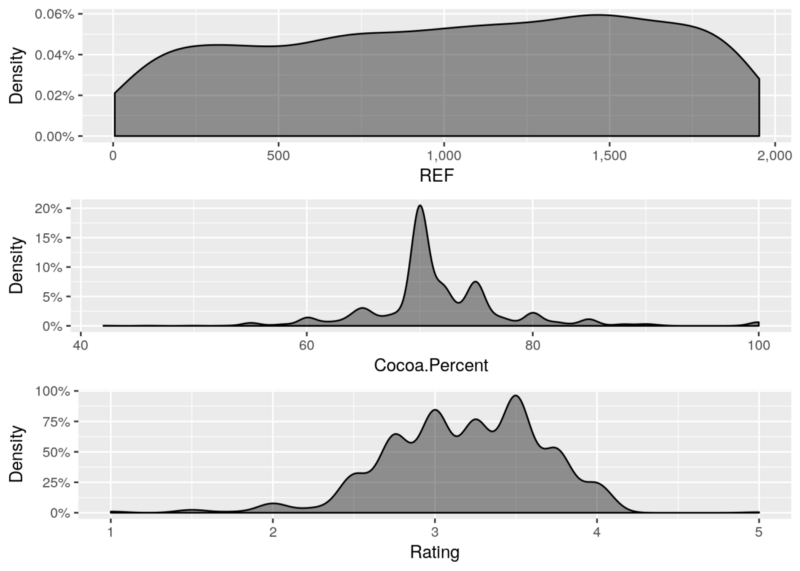 Simple Fast Exploratory Data Analysis in R with DataExplorer Package. 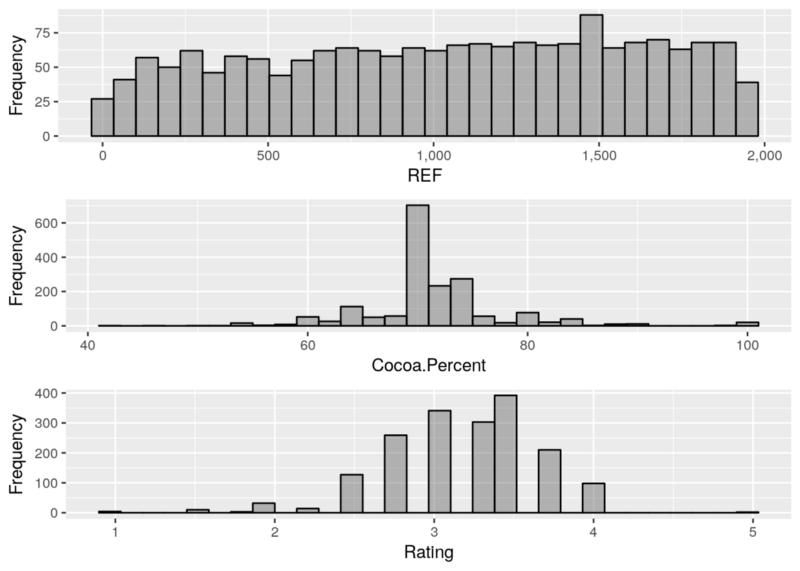 With R being the go-to language for a lot of Data Analysts, EDA requires an R Programmer to get a couple of packages from the infamous tidyverse world into their R code – even for the most basic EDA with some Bar plots and Histograms. Recently, I came across this package DataExplorer that seems to be doing the entire EDA (at least, the typical basic EDA) with just one function create_report() that generates a nice presentable rendered Rmarkdown html document. That’s just a report automatically generated and what if you want the control of what you would like to perform EDA on, for which DataExplorer has got a couple of plotting functions for the same purpose. The purpose of this article is to explain how you can perform Fast Exploratory Data Analysis in R using DataExplorer Package. Some reformatting of data types are required before proceeding. For example, Cocoa.Percent is supposed to be a numeric value but read as a character due to the presence of % symbol, so needs to be fixed. The very first thing that you’d want to do in your EDA is checking the dimension of the input dataset and the time of variables. With that, we can see we’ve got some Continuous variables and some Categorical variables. It’s very important to see if the input data given for Analysis has got Missing values before diving deep into the analysis. 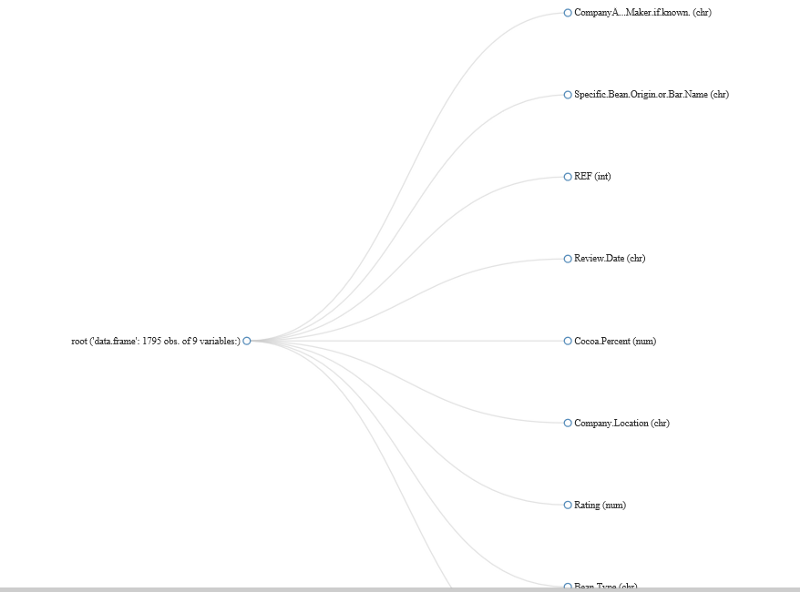 And we are fortunate that there’s no missing value in this dataset. Histogram is analyst’s best friend to analyse/represent Continuous Variables. Perhaps, you are a fan of Density plot, DataExplorer has got a function for that. That marks the end of univariate analysis and the beginning of bivariate/multivariate analysis, starting with Correlation analysis. 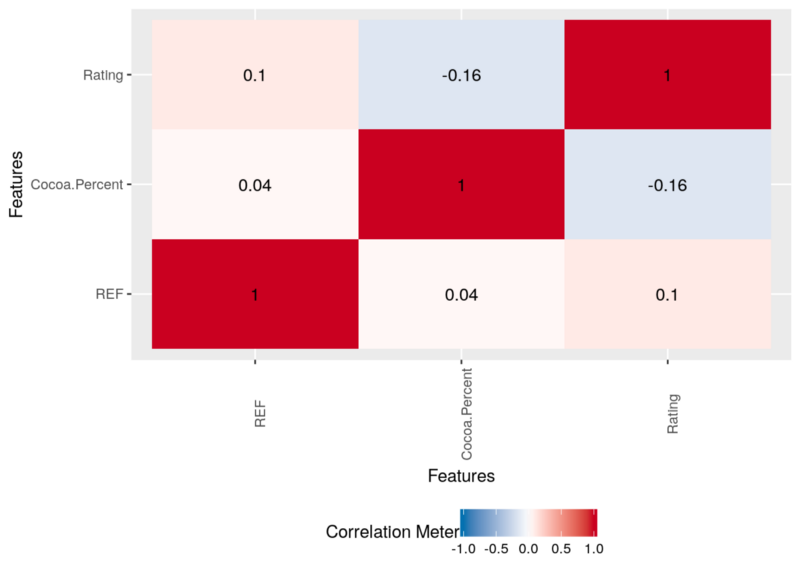 Similar to the correlation plot, DataExplorer has got functions to plot boxplot and scatterplot with similar syntax as above. So far we’ve seen the kind of EDA plots that DataExplorer lets us plot for Continuous variables and now let us see how we can do similar exercise for categorical variables. 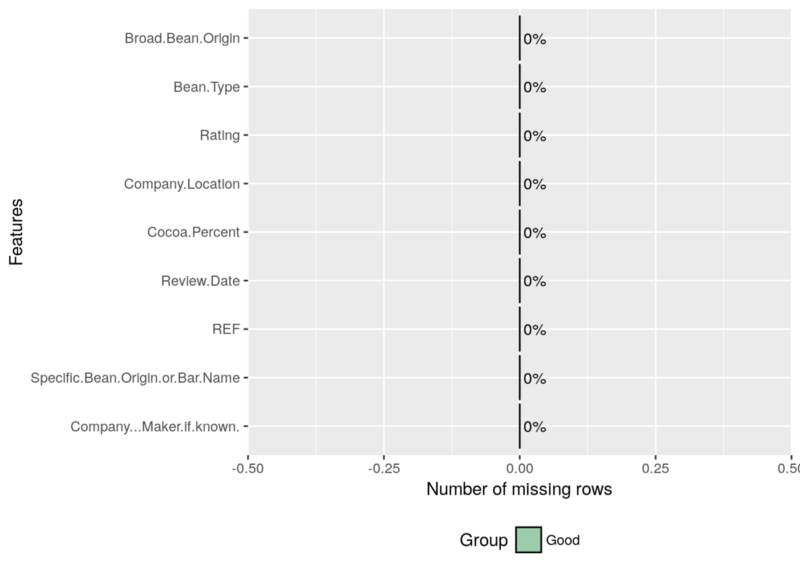 Unexpectedly, this becomes one very simple function plot_bar(). And finally, if you have got only a couple of minutes (just like in the maggi noodles ad, 2 mins!) just keep it simple to use create_report() that gives a very nice presentable/shareable rendered markdown in html. Hope this article helps you perform simple and Fast Exploratory Data Analysis and generate shareable report with typical EDA elements. To learn more about Exploratory Data Analysis in R, click here. ← Why Start a Data Science Project with EDA?